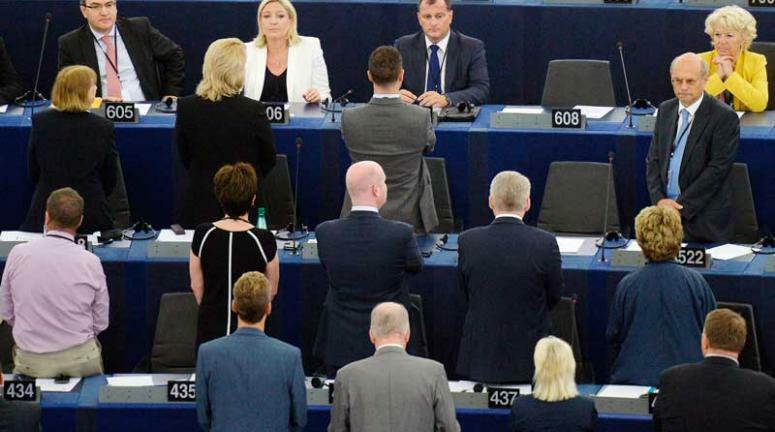 When UKIP MEPs turned their backs in protest to the EU flag they embarked on creating some truly wonderful imagery. Of course, in the lead up to the European elections UKIP leader Nigel Farage, the man who orchestrated this parliamentary protest, spoke out about the ‘common ground’ between the FN and UKIP and the potential of working together in the European Parliament as a blocking minority. Indeed Geert Wilders, the lunatic Eurosceptic leader of the Dutch Freedom Party, told the Guardian that hoped he could get Le Pen and Farage to work together in the parliament. This overlap between the far-right of European politics and UKIP is seen in Farage’s recruitment of one rogue FN MEP into their political group (something which didn’t please Le Pen herself to much). They are joined in UKIP’s ‘Europe of Freedom and Direct Democracy’ (EFD) by two Swedish far right MEPs whose party was founded by white supremacists (I read that they had to write specifically distancing themselves from white-supremacist views to be allowed in) as well as Lithuania’s Order and Justice Party (a party who themselves have had to deny links with Le Pen’s far-right FN). 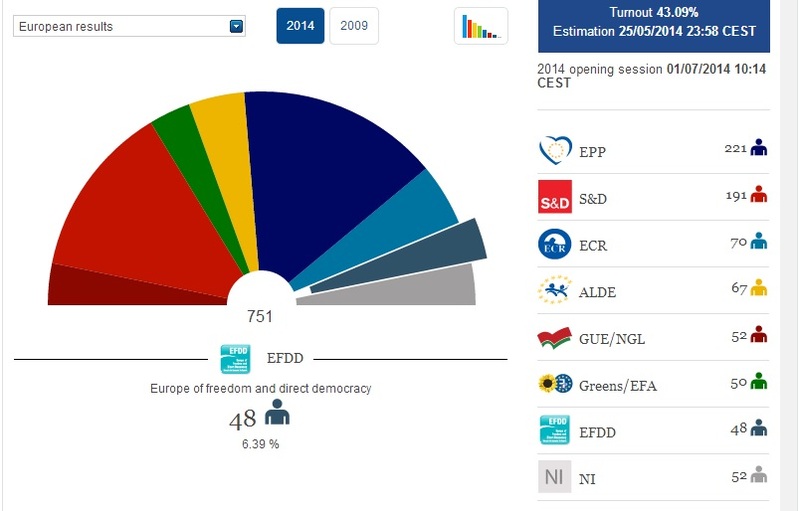 I wonder how many 2014 UKIP voters realized that their vote was going to be used to help grow such a far-right grouping in the European Parliament?